As we age, there is a loss of volume in the face. A youthful face has full features and soft transitions as you move from one anatomic subunit of the face to another. With time, you may experience laxity of the facial ligaments and loss of soft tissue volume. You may notice that you have loss of fullness in your cheeks and delineation of the transition zones of your face. 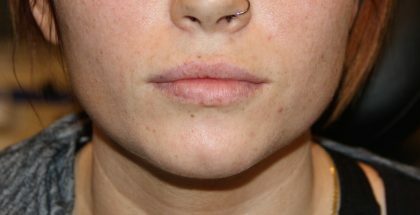 Facial fillers, such as Juvéderm, Restylane, Perlane, Radiesse, and Sculptra, can help add volume to these areas smoothing out these facial transition zones. These fillers are also commonly used to rejuvenate and restore volume to the aging hands. They are a welcomed alternative to more invasive facial plastic surgery procedures, such as facelift, brow lift and eyelid surgery. During your consultation, Dr. Michaels will carefully analyze your face and customize a treatment plan specifically to meet your goals. 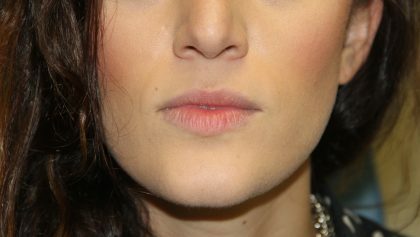 Typical areas that require facial fillers are the cheeks, the lips, the transition between the lower eyelid and cheek (nasojugal fold or “tear trough”), the junction of the face and upper lip (nasolabial fold) and the union of the jowls and chin (marionette line). Facial fillers will add volume to your face and correct the static lines and wrinkles on your face, but they will not prevent the wrinkles that form when you animate your face. Botox is a neuromuscular blocker that temporarily inhibits muscle contraction for up to three months, preventing these dynamic wrinkle lines from forming. During your consultation, Dr. Michaels may discuss with you the use of both facial fillers and Botox to optimize your results. If you would like to learn more about dermal fillers, click here or call (301) 468-5991 in Bethesda, or (703) 957-8610 in Fairfax to schedule a consultation. Dr. Michaels is pleased to welcome patients from throughout Washington D.C., Maryland and Northern Virginia to his state-of-the-art plastic surgery practice.